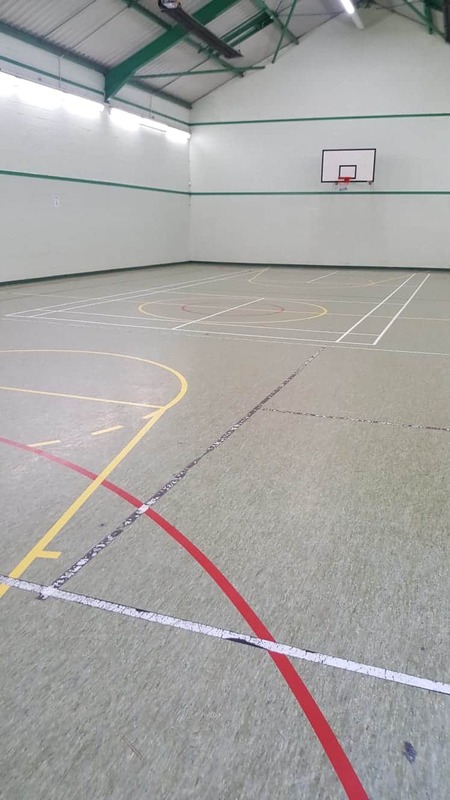 Cloughwood Academy, which is located in Northwich in Cheshire, contacted us to provide a specification and quotation to uplift an existing compact vinyl sports hall floor. The vinyl floor was very old and had begun to look extremely worn & tired so a transformation was much needed. 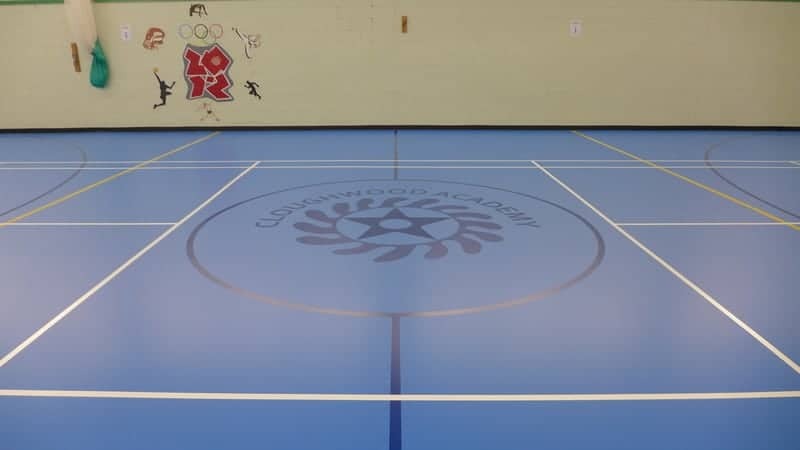 The main sports surface priorities for Cloughwood School were that the users would have a comfortable and high performance sports hall floor. As part of our process, we consulted with the Head of PE and the chosen sports floor system was our 5+2 Seamless Polyurethane system. This is EN 14904 certificated. For a sports surface to be EN14904 compliant it must pass various rigorous tests such as shock absorbency, resistance to impact, point loading and so on. 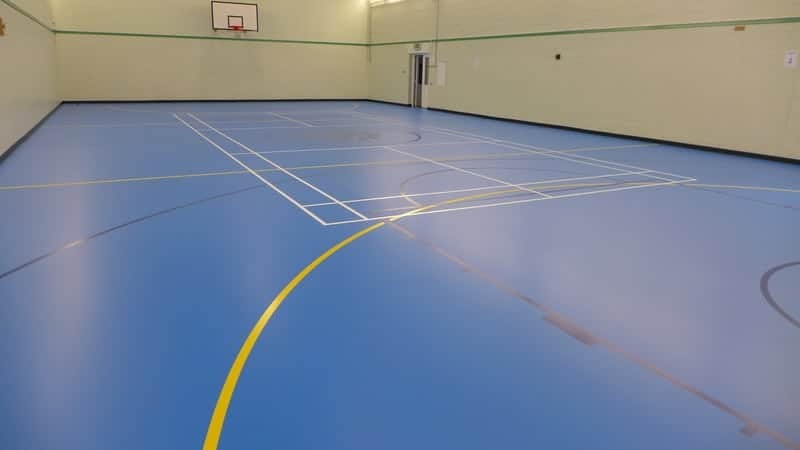 The other added benefit of a polyurethane sports hall floor system is that it is perfectly suited to younger users. This is due to it’s superior impact protection. To transform the sports hall floor, we initially needed to prepare the sub floor before we could install the new polyurethane surface. As part of the contract we also needed to remove some unused wall bars and floor sockets. We incorporated the school logo into the new floor which is something we do in-house. To complete the project, we added new skirting and line markings. The uplift and full installation were on time and on budget. Cloughwood is a day and residential school for boys aged 8 to 18. The school is situated in a beautiful setting and pupils enjoy a wide range of curriculum and learning outside of the classroom opportunities. Cloughwood is a non-excluding school with a team of committed, dedicated and hardworking staff who strive to maximise the learning potential of all their pupils. Cloughwood is a safe school and they take care to safeguard the health, safety and well-being of everybody who studies and works there.